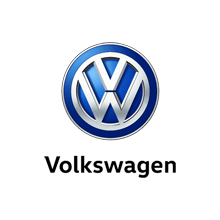 At Drift Bridge Volkswagen, we are proud to be a trusted partner of the brand. We stock the complete range of all-new models from the leading German carmaker at our Epsom showroom – and have represented the brand since 1974. If you want quality and affordability from your Volkswagen products and services, then we’re here to help you. Whether you’re seeking a Volkswagen Up! for driving around town in style, a highly practical Volkswagen Touran for transporting the whole family, or you’re not sure which model will work best for you, we can help you find exactly what you’re looking for. Alternatively, if you’d like to purchase a second-hand vehicle, look no further than our selection of Approved Used vehicles – offering reliability at an excellent price. Our complete range is available to view online, and you can use the filters to narrow your search and find the features you want. At Drift Bridge Volkswagen, we welcome customers from throughout Surrey, the South East and beyond. Not only do we have a reputation for top-quality vehicles, but also for outstanding customer service. Going above and beyond your expectations to meet your needs is all part of the Drift Bridge Volkswagen promise – and our professional staff are on hand to offer impartial advice on everything from cars to tailored finance packages. And our commitment to care doesn’t end once you’ve driven off the forecourt – it also extends to our extensive range of aftersales services. These include servicing, MOTs and genuine repair parts, all of which are available at competitive prices. Find out more about what we can do for you by visiting the relevant web pages on our website. Click on the links to visit the sections you’re interested in – and reach our team quickly and easily online if you have any questions at all. If you’d like to talk to us in person, don’t hesitate to pick up the phone or visit our Epsom showroom during opening hours. We’re open seven days a week, and we look forward to welcoming you soon.